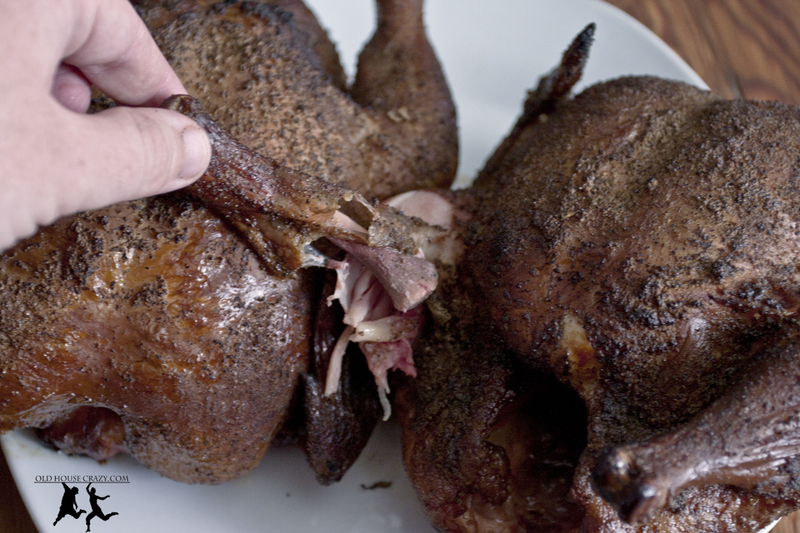 Smoked chicken is just about the perfect food. If you disagree, you’ve probably never had it or haven’t had it done well, and that’s a problem. My brother taught me how to grill and smoke meats and veggies many years ago on our parents’ kettle grill back home. Since then, we’ve both upgraded to barrel smokers with side-mounted fire boxes. From what I’ve seen around, many folks have this type of smoker. Many folks are also failing to meet the potential of this relatively cheap cooking tool. I’ve seen all kinds of people grilling and a vast majority of people are just using kingsford charcoal to grill, smoke, barbecue, or whatever they’re calling it. A smaller number are using kingsford charcoal and some wood chips soaked in water to add smoke. That’s not a bad method, but it’s too expensive. Those wood chips that are sold specifically for smoking are not as cheap as they should be. You don’t need them. First of all, get a charcoal chimney starter. Don’t buy an electric starter. Don’t buy lighter fluid. Get a chimney like the one in our photos. 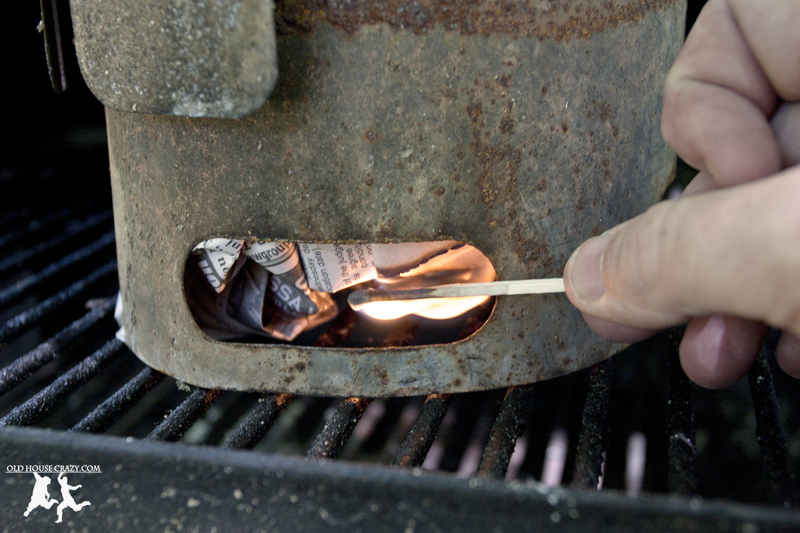 The only fuel you need to get your charcoal started is a couple sheets of dry newspaper. We don’t even get the newspaper and we’ve got plenty of newspaper from the free neighborhood thing that comes around and those coupon circulars that get stuck in the mailbox. Just save those and you won’t spend any more money on fuel. 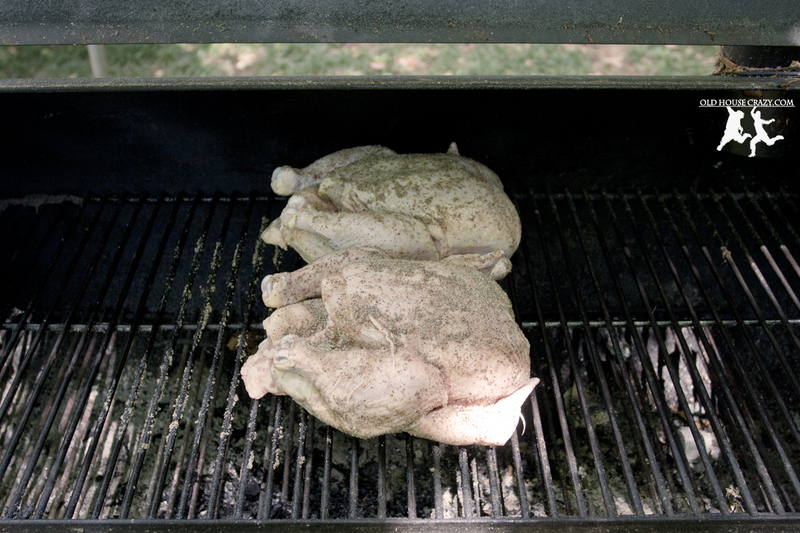 For this post, I used kingsford brickets because publix didn’t have any lump charcoal. 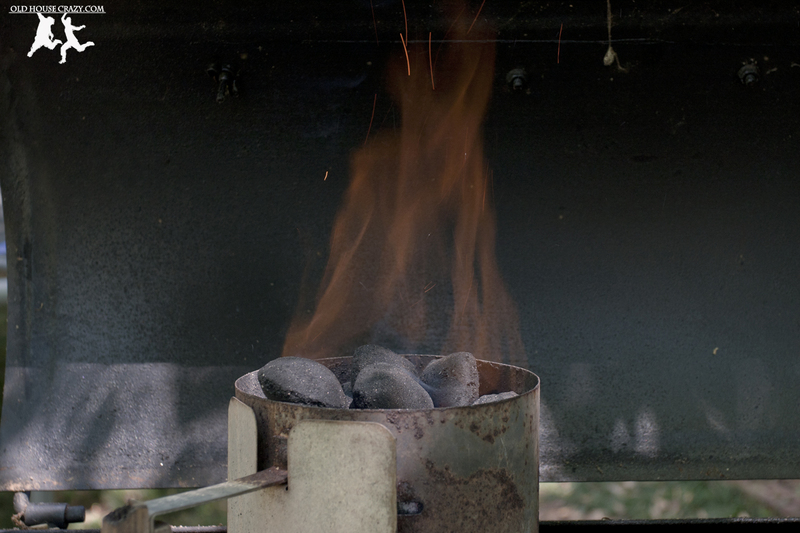 Lump charcoal is made only from wood and doesn’t include the char that makes charcoal. Google search char and you might not want to eat the food that it’s cooked with any more. However, in a pinch, you use what you can get. Cram a couple sheets of newspaper in the bottom of the chimney, pile coal on top to fill it up, then light the paper from the bottom. It’ll be pretty smoky for a while, so don’t do this next to a group of sitting grannies. They’ll be quite upset. Politely ask them to move first. 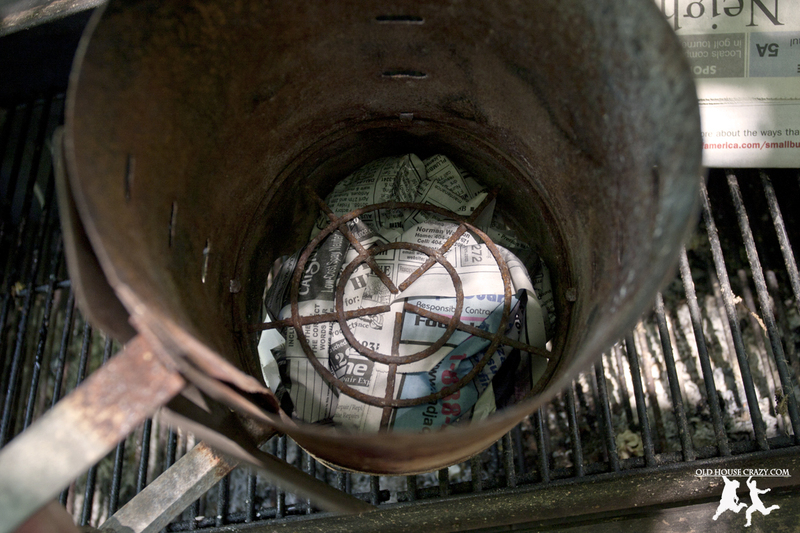 It’s a pretty simple concept: the fire from the newspaper heats the bottom of the coals. Hot air rises. Cool air rushes in to replace the hot air that has risen. The cool air is heated and thusly rises. Within twenty or thirty minutes you’ll have flames shooting out of the top of the chimney. 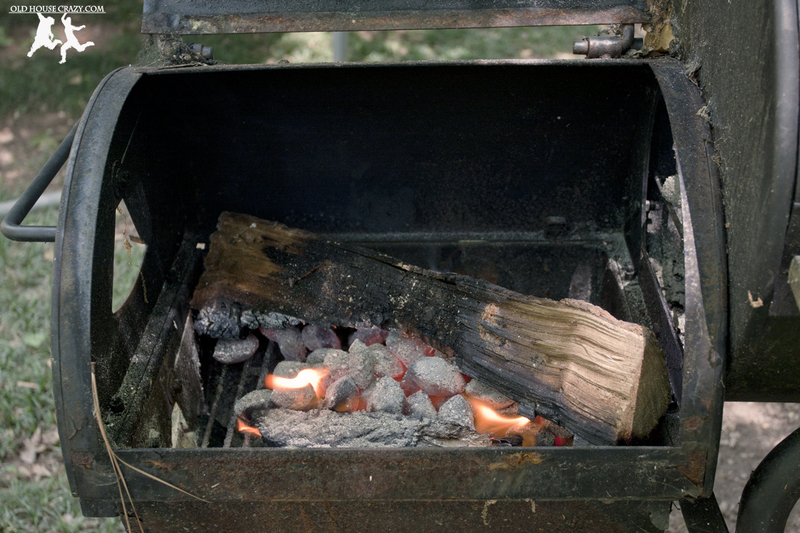 Once I’ve got a nice bed of coals, I usually don’t add many more, regardless of total cook time. From here, I add pieces of firewood. Firewood is cheap. It’s usually oak or hickory. It’s what real BBQ joints use. Just look or ask the next time you’re at a commercial BBQ place. They don’t use charcoal. They don’t use smoking chips. Do what they do. Wood burns. It makes smoke while it burns. The smoke adds flavor to your food. Win. Now for the chicken. We buy organic birds from wherever we can get them. The birds which aren’t labeled organic scare me. Watch Food Inc. You’ll agree. I usually rub them with a light mixture of salt, pepper, and crushed garlic. You can get more creative, but there’s really no need. The chicken comes our perfectly seasoned with just those three simple ingredients. 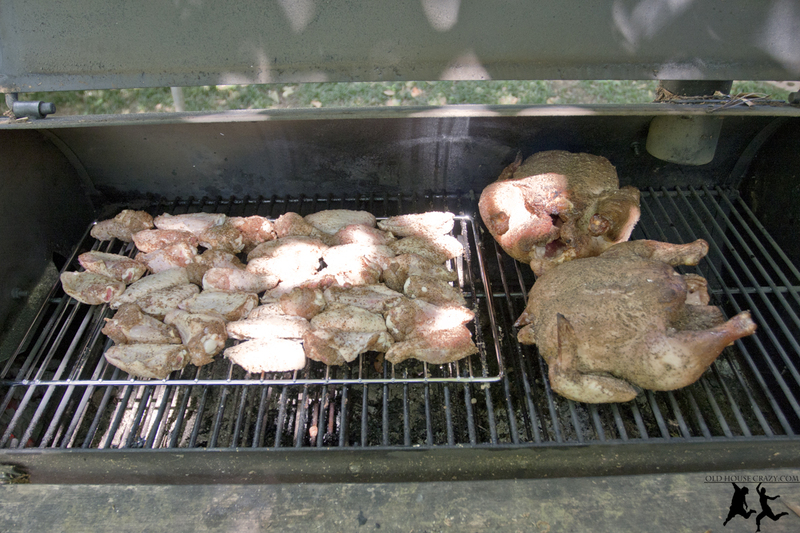 I get the smoker to about 250-300 degrees and let ’em sit for four hours. Don’t flip them. Don’t move them. Just leave them be. For the wings, you’ve got to put in a little more effort. You buy wings whole. There are three parts: the flat, the drum, and the other part. 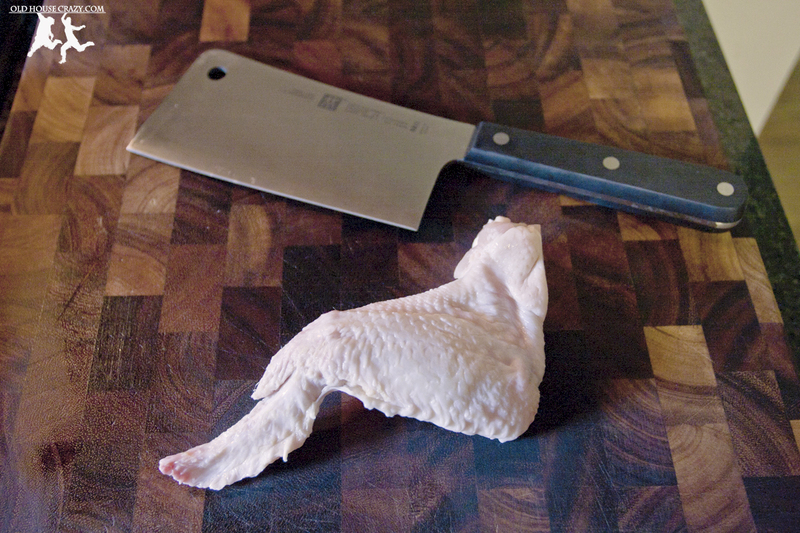 It takes a bit of practice, but you need to cut the joints right between the sections with a sharp knife. The cleaver I used isn’t exactly necessary, but it’s a lot of fun. 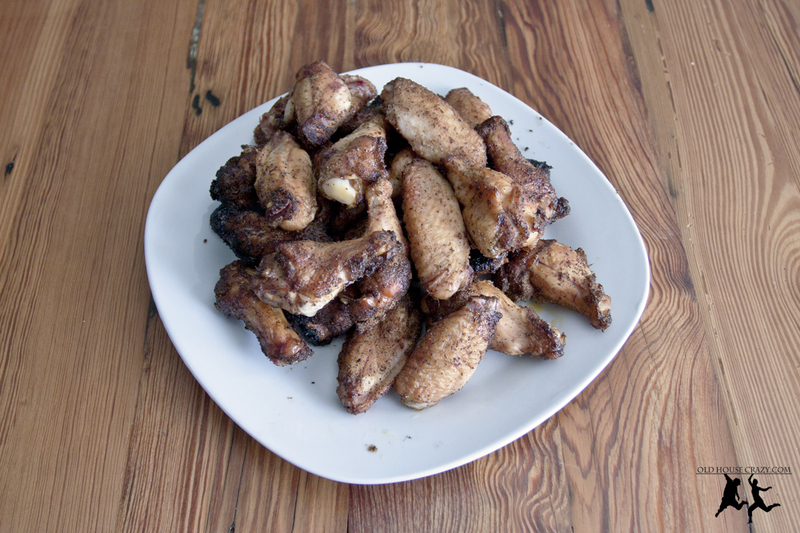 I seasoned the wings with salt, pepper, garlic, red pepper, a little cumin, and some chili powder for heat. The wings went on after the chickens had been in for two hours. 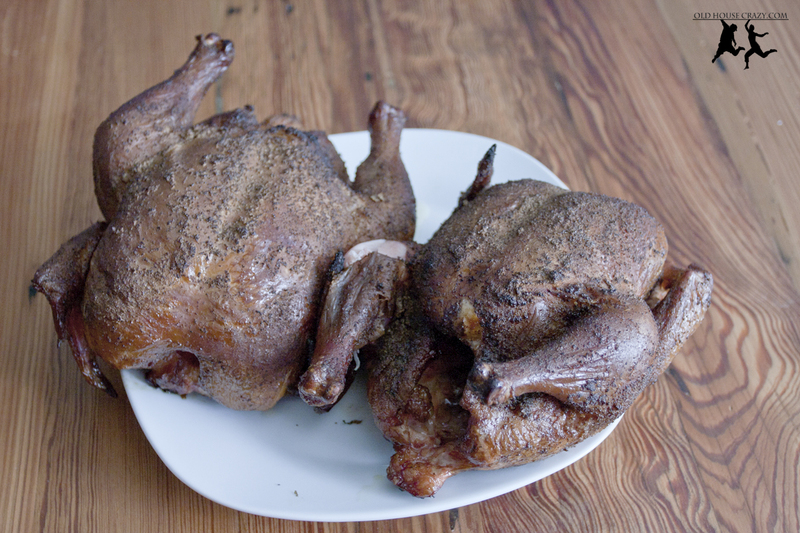 I pulled them off the smoker after 1.5-2.0 hours. Honestly, I don’t remember exactly. When they look done, eat them. They were delicious. Since they were closer to the fire box on the left, they still got crispy. I’d put them up against any fried wings and they’ve got a whole lot less calories. The chickens came out after four hours. They’re done when you can grab a leg and the bone pulls right out of the leg, as shown below. If it holds, let them cook a bit longer. 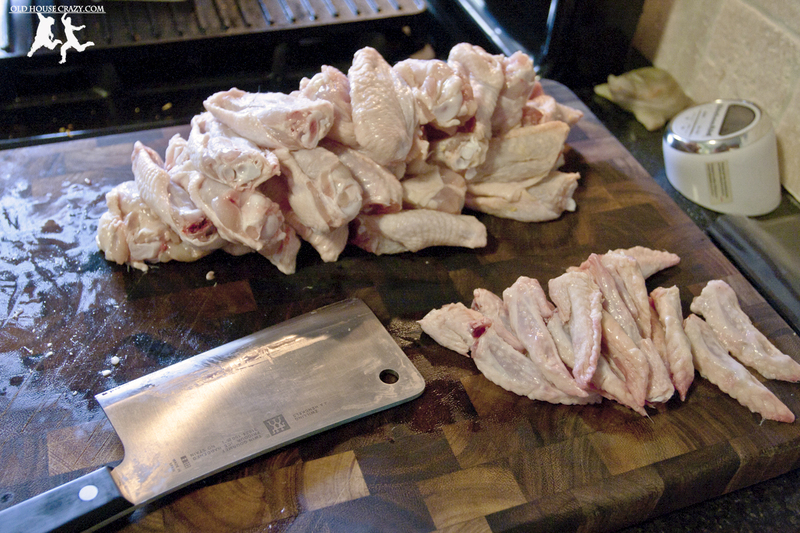 You also should look for clear juices running out of the birds when you cut them. If it runs bloody, cook the chicken longer (since they already have the smoky flavor and you’re hungry, just toss it in the microwave. We won’t tell). 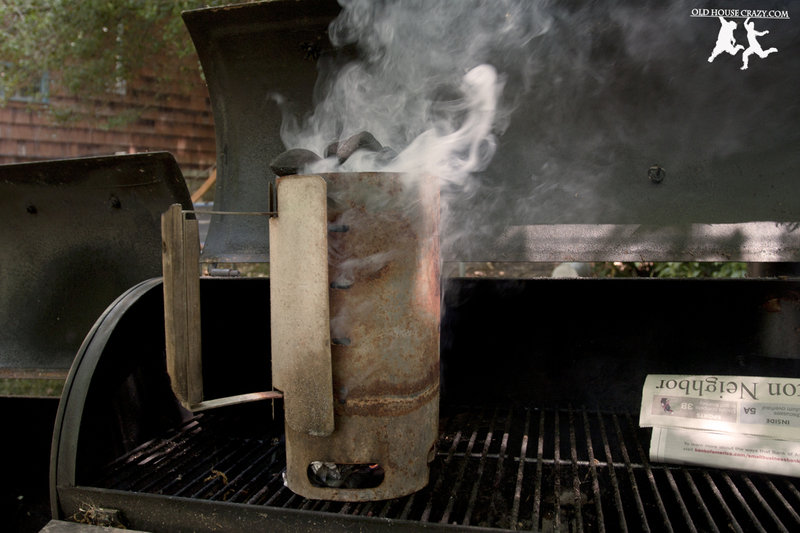 This entry was posted in Better than store bought, Dinner, Food, Grill and Smoker, Recipes and tagged charcoal chimney starter, chicken, chicken wings, dinner, food, grilling, smoked chicken, smoked meat. Bookmark the permalink.